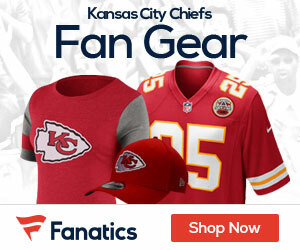 Plenty of folks, especially within the fan base, are expecting a lot from the 2013 Chiefs. Thanks largely in part to the arrival of QB Alex Smith, head coach Andy Reid, and plenty of roster turnover, those expectations are not unfounded. The 2013 Chiefs are definitely better than the 2012 team. This week the Chiefs should be able to pull off a victory against the rebuilding Jaguars. Below are two players for the offense and defense who should be able to start the season on the right track and be major contributors going forward. Anthony Fasano. The Alex Smith to Vernon Davis connection was great over the past two seasons. With Alex Smith targeting check-down receivers often, Fasano should be a regular target, especially in the red zone. This could be the very opportunity Fasano needs to kick-start his career. 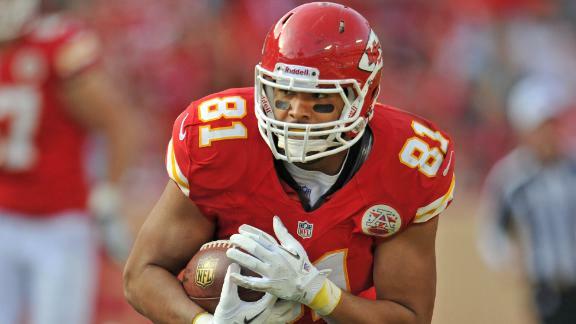 If he can’t capitalize, the second tight end, rookie Travis Kelce, could emerge as a Dennis Pitta type player. Donnie Avery. As the default option for wide receiver across from Dwayne Bowe, Donnie Avery has a lot of stepping up to do. With defenses focusing on Bowe, and Alex Smith not being known for his long ball, Avery will have to learn to shake coverage very quickly. The only pressure he’ll feel this season would be from recently acquired receiver A.J. Jenkins, and that’s not saying much. Jenkins has a lot to prove, and very little competition. Dontari Poe. Last year’s first round pick will have the pleasure of being the nose tackle making lots of money and have few stats to show for it. That’s because a massive body in the middle of the line can be very disruptive in the running game for opposing offenses. If Poe can draw double teams, and cause enough trouble to throw off the running game, the defensive ends and outside linebackers should be successful creating pressure. An elite nose tackle can solidify a defense. An average one can cripple it. Poe has great potential and should emerge this year. Sean Smith. Smith is a big strong corner that will easily throw any receiver off their route. His upside is fantastic, and has a great supporting defense. Smith has plenty of reason to excel on this defense and very likely could have 6 interceptions this year. If Smith is able to scare enough quarterbacks away from his side of the field, safeties Eric Berry and Kendrick Lewis will be able to wreak havoc on deep balls and defending the run. Look for these players during week 1 against the Jaguars.